Believe it or not, you can go back to around World War II to see the evolution of oral hygiene and the improvements made with dental care. When young Americans were entering various branches of the military and going through physical exams it was documented that their teeth were generally in pretty bad shape. At that time there were no industry guidelines for regular dental visits. The approach at that time was to react and fix problems versus having a preventative mindset. Overdue for a Teeth Cleaning! Call our Office to Schedule your Annual Today (251) 666-3600! Dental health organizations began to recognize the need for preventive care and maintenance and started suggesting that you should see your dentist twice a year for checkups, examinations and professional cleanings. This rule of thumb has persisted as a guideline only because each individual patient may have different oral health issues that require a greater frequency of visits. This determining factor is based on your personal oral hygiene, good or bad oral habits, and any medical conditions. For example, some of these factors that would influence dental checkup frequency include smoking, pregnancy, diabetes, compromised or weak immune system that may cause infections or difficulty fighting them, if you currently have gum disease or if you simply can’t keep up with the plaque and tartar buildup on your teeth. If you are in a higher risk category you may actually have to schedule dental visits three to four times a year. The first thing to expect is that Dr. Schrader will check your mouth for tooth decay, gum disease, any signs of oral cancer or possible infections. After your mouth has had a full inspection then x-rays will capture what is going on between your teeth and below your gum line. Once the x-rays are reviewed, the staff at West Mobile Dental Care will proceed with a very thorough cleaning. This process removes plaque and tartar from the enamel on your teeth. Plaque and tartar carry bacteria that causes cavities, inflammation, and infections. You’ll be surprised, once your teeth are polished, how good they actually feel. If the dental exam reveals any other issues or problems, then treatment can be discussed, and a plan put into place. This could involve your teeth, your gums, your cheeks, your tongue or your jawbone. The benefit of having regular exams is always catching something before it too late to improve, reverse or correct the problem. Let’s say you have waited way too long for a dental checkup. You may find yourself in an uncomfortable position as you now have to be subjected to a dental procedure to correct your neglect. As an example, you may have to have a deeper cleaning, which means removing the plaque and tartar from your teeth beneath the gum line. This is necessary to either control your possible gum disease or prevent it from happening. Gum disease can lead to the loss of bone supporting the teeth. You may also find a cavity which will require a filling. If the cavity has gone undetected due to the lack regular checkups, it may be significant in size and require a root canal or an extraction. Losing a tooth means replacing the tooth in order to preserve function and esthetics. The gap that is left will need a dental bridge or a dental implant. If you do not fill the gap the neighboring teeth will shift into that space and result in changing your bite pattern. The message here is that it is much easier and affordable to schedule that six month appointment with West Mobile Dental Care and prevent these measures that most often just come from simple personal neglect. To compliment your regular dental checkups and exams you will need to create some good habits. They will start with understanding your diet. If you like teas, coffee or red wine you need to know that these favorites will stain your teeth. If you have a terrible sweet tooth and love sugar you will need to follow the suggestions of brushing twice a day, slowly, and then compliment that by flossing. These two simple little good habits will make your dental checkups a good experience and not one dominated by anxiety. 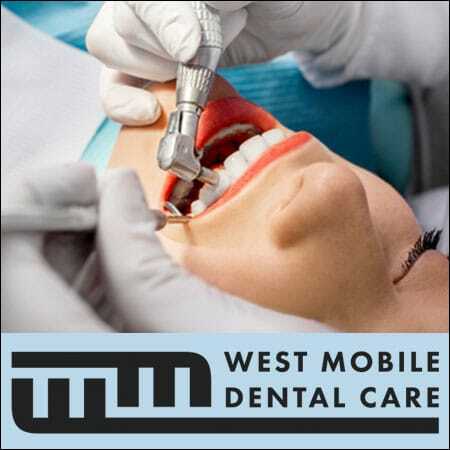 Once you have established a regular routine with visits to West Mobile Dental Care they can build a history of your mouth and become your partner in taking good care of your teeth, gums, cheeks and tongue. One thing that has not been discussed falls as a true value-add asset. That is your smile. Stop and think of what you have just read and now grasp the impact on your smile. A smile that also directly affects your self-esteem and your self-confidence. Think about a missing tooth or stained teeth and now project that into either your personal or professional circles. Prevention is so much easier than reaction when it comes to possible issues with your oral hygiene. Schedule your dental exam today.